Trusting God is easy when life is going well, but what happens when you find yourself in the midst of your deepest pain and suffering in the midnight of your life? Are you able to trust Him even then? The Radiant Midnight invites you to view your struggle with depression or disillusionment in a helpful new light. Through candid storytelling, biblical truth, honest lament, and unexpected humor, you will be encouraged to live well in the middle of your blackest hours as you discover the God who will not only lead you into the daylight, but will also sit with you in the dark-fully and beautifully present. As you grow into intimacy with God, you will discover that a joyous life is possible, even as you walk through enormous pain. 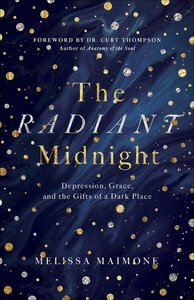 About "The Radiant Midnight: Depression, Grace, and the Gifts of a Dark Place"